I recently read “The Book of Joy”. 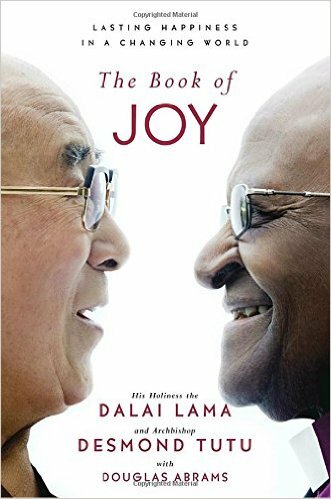 It’s a series of dialogues between Dalai Lama and Archbishop Tutu (beautifully narrated in the audio version). They share their view on living a happy life in the face of adversity. The book brought profound clarity on topics like compassion, gratitude, generosity, and it deeply resonated with my worldview. If there’s one book you end up reading from my list, I hope it’s this one. We get to listen as they explore the Nature of True Joy and confront each of the Obstacles of Joy—from fear, stress, and anger to grief, illness, and death. They then offer us the Eight Pillars of Joy, which provide the foundation for lasting happiness. Throughout, they include stories, wisdom, and science. Finally, they share their daily Joy Practices that anchor their own emotional and spiritual lives.